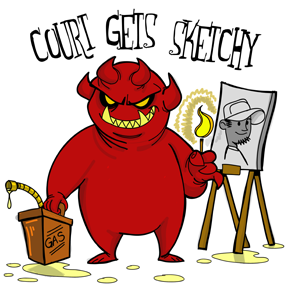 Court wants this as his new catch-phrase. Addy, Add, a helping… uhm, paw for everyone to spread chaos and destruction hn? Wasnt she in the addvertisment-department of Missus D? Time for a magical girl transformation! Could be worse, she could have struck a pose and shouted “In the name of the moon, I will punish you! My team or not if she pulls a sailor moon I’m going to find the biggest hammer I can and grand slam her into the moon, out f a sense of obligation. And before I hear it, I am a very strong supporter of equality of the sexes and if some dude showed up in a top hat and mask that is just what I’d do to him. Same treatment is equality after all am I right? Besides, she’s an angle not mortal it just be an annoyance to her is all. Zarvain – Apparently an obtuse angle at that. Hey, she’s practical… ‘Angel Powers: On! is a short one. By your powers combined, I am… CAPTAIN PLANET!!! No, No, Elihion…everyone knows that Talking is a free action! Talking, certainly, but surely this is more on a par with Invocation, and takes time. @Wolfwalker527 – Nice to have you with us.